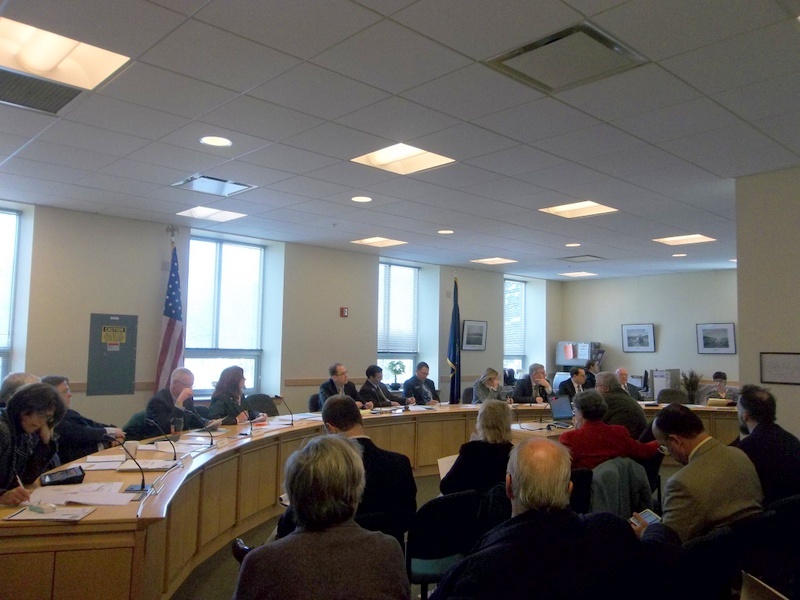 Today, the new Joint Select Committee on Maine’s Workforce and Economic Future held its first committee meeting in the Energy, Utilities, and Technologies committee space (Rm 211 of the Cross Building). The first item of business included introductions of committee members and staff. Then Charles “Wick” Johnson of Kennebec Technologies spoke to the committee about his experience with the skills gap issues he faces in running his business. There was significant discussion and presentations about the current landscape of Maine’s economy, including work force development, skills gap, small business and economic engines such as down towns and Main Street areas of Maine communities. The joint select committee will work with experts and industry leaders to formulate a plan to improve Maine’s economy. Democrats said the plan would build on the bipartisan work done last session to streamline regulations. The next scheduled meeting is for February 4th. On February 6th, the committee will travel to Bangor to speak with local business leaders, educators, employers, and workers to learn more about workforce development and skills gap issues as they apply to the greater Bangor area. Senator Seth Goodall (D-Richmond), the Senate Majority Leader, is serving his third term in the Senate representing District 19 (Sagadahoc County). He is the cofounder of Goodall Landscaping, a small business now owned by his brother that employs nearly 30 people. While a selectman in his hometown of Richmond, he focused on revitalizing the downtown and creating jobs. He also served on the Economic Community Development Board, and currently serves on the Maine Economic Growth Council, a project of the Maine Development Foundation. The MEGC was established to develop a long-range economic plan for the state and to measure progress in achieving the plan’s benchmarks and goals via the annual release of the Measures of Growth report on the Maine economy. 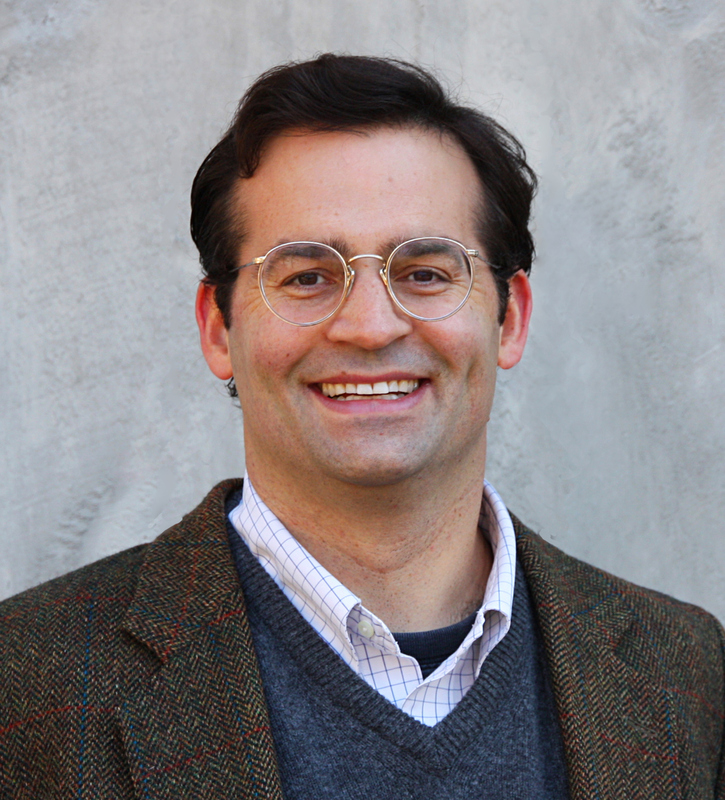 Rep. Seth Berry (D-Bowdoinham), the House Majority Leader, is a fourth-term legislator who has served as ranking minority member of the Taxation Committee, Assistant House Majority Leader, and a member of the Energy, Utilities and Technology Committee. A former teacher, he is now vice president for international business development of Kennebec River Biosciences in Richmond. Rep. Paul Bennett (R-Kennebunk) is serving his second term in the House. He received a B.S. in Accounting from Bentley University and is a member of the National Federation of Independent Business. He has been a small business owner for nearly 25 years. He serves on the Taxation Committee. Rep. Paul Gilbert (D-Jay) is a third-term legislator who serves on the Labor, Commerce, Research, and Economic Development Committee. After completing his service in the Army, Gilbert gained both private and public sector management experience in supermarkets and as a job service manager at the Maine Department of Labor. Rep. 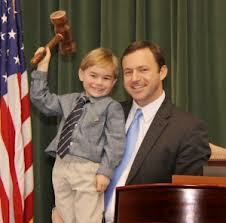 Gay Grant (D-Gardiner) is a first-term legislator serving on the Environment and Natural Resources Committee. She is a small business owner who works with non-profit organizations, schools, and other small businesses to help them secure funding for vital projects. Rep. Peter Johnson (R-Greenville) is serving his fourth term in the House. A retired Colonel in the U.S. Army, he has worked as a consultant for Argon Engineering, a program manager for Lockheed-Martin, a Business Development Manager for Raytheon Corporation, and a Program Manager for Engineering Research Associates. 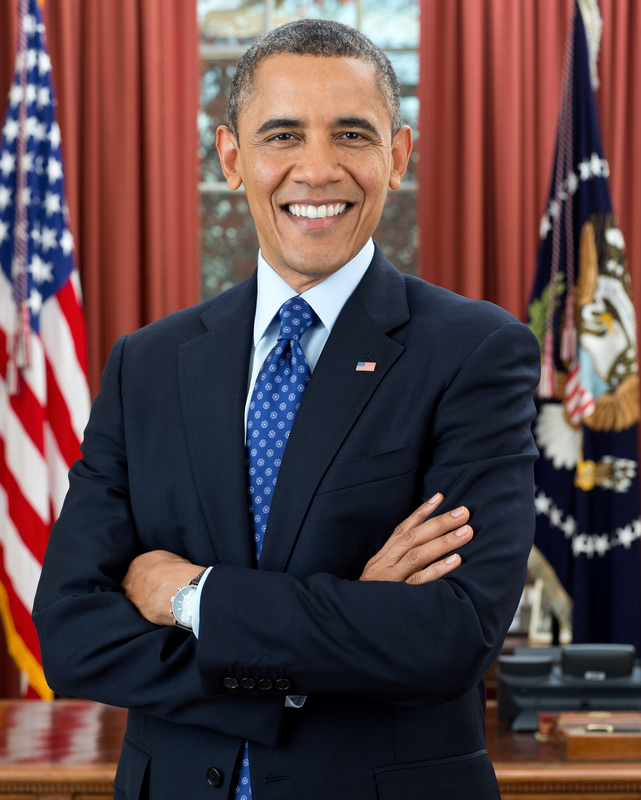 He holds an MBA from the University of Maine. He is also a member of the Education and Cultural Affairs Committee. Senator Roger Katz (R-Augusta) is serving his second term in the Senate representing District 24 (Augusta, China, Oakland, Sidney, and Vassalboro). Senator Katz is the Assistant Senate Minority Leader, and also serves on the Government Oversight Committee. He is the former mayor of Augusta, and was the Chair of Augusta Development Corporation. Senator Brian Langley (R-Ellsworth) is serving his second term in the Senate representing District 28 (Hancock County). He also serves on the Education and Cultural Affairs Committee, and is the owner of the Union River Lobster Pot restaurant in Ellsworth. Senator Langley spent more than 27 years teaching culinary arts at Hancock County Technical Center, where he emphasized workforce development through industry and education partnerships. Rep. Joyce Maker (R-Calais) is serving her second term in the House. 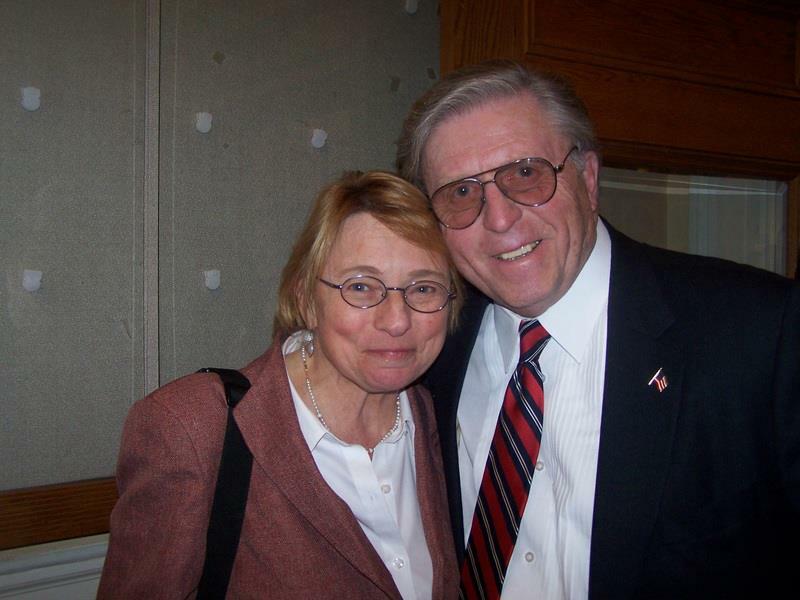 She is a retired college Administrator and Financial Aid Director, and has served on the Board of Directors for the Finance Authority of Maine (FAME) and the Maine Municipal Association Executive Committee. She is also a member of the Education and Cultural Affairs Committee. Rep. Anne-Marie Mastraccio (D-Sanford) is a first-term legislator serving on the Labor, Commerce, Research, and Economic Development Committee. She brings her experience as vice chair of the Sanford Economic Growth Council and as a local elected official to the committee. Rep. Kim Monaghan-Derrig (D-Cape Elizabeth) is a second-term legislator serving on the Judiciary Committee. Her professional background includes work in tourism marketing, project and event management, online publishing, and ballet instruction. Rep. Terry Morrison (D-South Portland) is a third-term legislator serving on the Insurance and Financial Services Committee. His small business experience includes running The Works Café in Portland and J.P. Thornton’s in South Portland, and serving as general manager of the Inn at St. John in Portland. Rep. Jeffrey Timberlake (R-Turner) is serving his second term in the House. He is the owner of Ricker Hill Orchards, an eighth generation family farm that is one of the largest apple farms in New England. He also manages about 2000 acres of forest land, and owns Northland TrueValue and Northland Holder Inc. He serves on the Agriculture, Conservation, and Forestry Committee. Senator Linda Valentino (D-Saco) is serving her first term in the Senate representing District 5 (Saco, Old Orchard Beach, Dayton, Buxton, and part of Biddeford). She also serves on the Transportation Committee and is the Senate Chair of the Judiciary Committee. 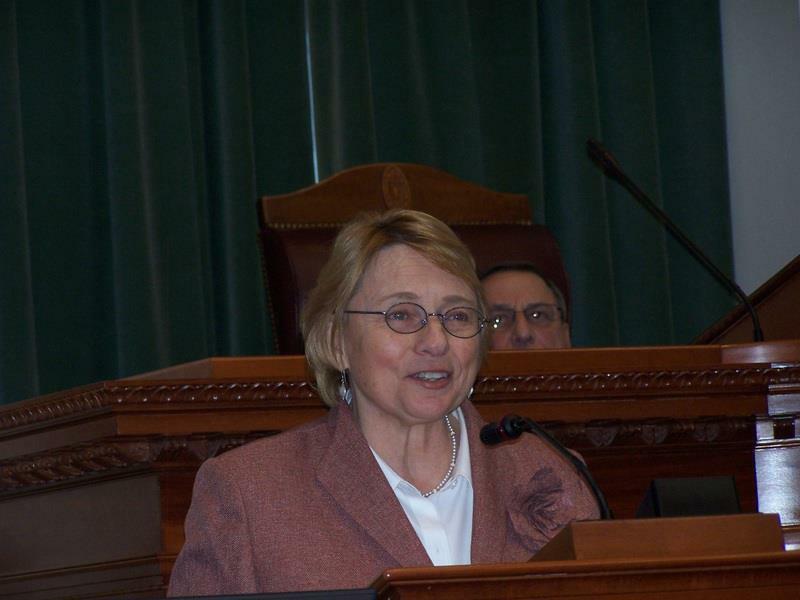 Prior to her election to the Senate, Senator Valentino served four terms in the Maine House where she sponsored legislation to provide seed capital for businesses and served on the Joint Select Committee of Business Regulatory Fairness and Reform. Senator Richard Woodbury (U-Yarmouth) is serving his second term in the Senate representing District 11 (Chebeague Island, Cumberland, Falmouth, Gray, Long Island, North Yarmouth, and Yarmouth). Senator Woodbury is an economist and the only Independent in the Maine Senate. His economics work deals with pension plans, health and disability, population aging, and tax policy. He also serves on the Insurance and Financial Services, and Marine Resources Committees, and he is a member of the GrowSmart Maine and Envision Maine advisory boards. I’m Representative Seth Berry of Bowdoinham, the House Majority Leader in Augusta. Thank you for tuning in. This week brought us an exciting development in our efforts to secure long-term prosperity for our state. We launched the Joint Select Committee on Maine’s Workforce and Economic Future. This group will develop legislation to strengthen Maine’s workforce, downtowns and small businesses. I was honored to be named co-chair of this Committee along with Senator Seth Goodall, and we look forward to working with the thirteen other Republican, Independent, and Democratic members. We all know Maine’s economy needs a boost. We were the only New England state whose economy shrunk in 2011. And we were one of only seven states in the nation to experience that kind of backslide. Too many Mainers are unemployed or underemployed because of our economy. While other states recover, more than fifty-thousand Mainers remain without work. And on this cold winter morning, too many of our neighbors are faced with having to choose between breakfast, heating fuel, or medicine. 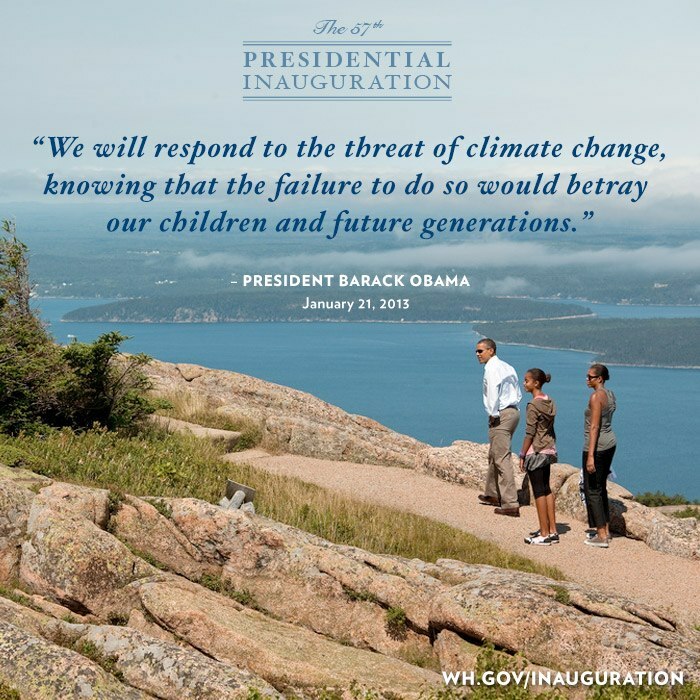 These are sobering facts, but we must remember all that Maine has going for it. We must focus on what is possible and positive, and work together to make that happen. We have a workforce that rightly takes pride in its Yankee ingenuity and work ethic. Our state is home to main streets and downtowns that are natural community hubs and economic engines. And the small businesses that power our state’s economy can also help pull us out of the ditch today. Building on these strengths — our workforce, our downtowns, and our small businesses — we can grow our economy and our middle class. And so, this jobs committee will tackle our workforce skills gap. In the next five years, four-thousand jobs will be unfilled, just because of a mismatch between worker skills and employer needs. This is an area where Democrats and Republicans can find common ground and build new public-private partnerships. The committee will also work to revitalize our downtowns: our historic mill towns and ports, our gateways to Canada and Katahdin, our centers of enterprise and exchange. The high-tech export firm I work for chose Main Street in Richmond because of its sidewalks, storefronts and services. A friend’s business chose Belfast because of its convenience, community, and quality of life. A new sign on the highway may be a start, but it takes a vibrant community to make a business owner want to set up shop and make long-term investments. Third, the jobs committee will focus on small businesses, which are 95% of all our businesses. We will look for ways to help small businesses lower costs, modernize, benefit from public and private research and development, to scale up, and compete in the global economy­. These are solid, positive ways to grow our middle class. They contrast to the policies pursued by Governor LePage. Earlier this week, for instance, Fitch Ratings announced a downgrade of Maine’s credit rating. Three concerns cited were the Governor’s unpaid bill for over $400 million in tax breaks largely for the wealthy – a bill he now proposes to shift to local communities and homeowners – the contentious tone he has set in Augusta, and the overall economic downturn since he took office. The news was sobering, but not surprising. It was a reminder that there are consequences for our actions and attitudes in Augusta, and that there has never been a better time to put Maine back to work. That’s why Democrats are seeking meaningful job-related investment – in areas like research and development and infrastructure such as roads and bridges. In contrast, the governor would borrow a hundred million dollars to build a new prison and pay other debt by borrowing more money secured by future liquor sales. More prison beds, cheaper alcohol, and more borrowing from Wall Street do not make a plan that helps Main Street or Maine compete. Meanwhile, the Governor still has not released more than a hundred million dollars in voter-approved bonds that should be putting Mainers to work today. These bonds would support jobs in transportation, higher education construction and clean water improvements with up to a five-to-one federal match. Maine people have sent us a clear message: get the economy moving again and strengthen the middle class. That is the mission of the bipartisan Committee on Maine’s Workforce and Economic Future. This is Representative Seth Berry. Thank you for listening. Have a wonderful weekend. Maine is in the middle of a cold spell. With rising prices for heating oil, Mainers are spending more to fill their tanks to keep warm this winter. Gas, groceries, and the basic necessities are increasing forcing Maine families to manage tight budgets. Furthermore, the federal government takes more from your paycheck. The average family is paying 1000 dollars more in payroll taxes. I believe Mainers should be able to keep more of their hard-eared money. That’s why I have lowered taxes for the majority of Mainers. 70,000 low income Mainers will not pay income tax this year, and families making an average income of 48-thousand dollars will have about 300 dollars more for their budget. We simply cannot tax our way to recovery. We cannot continue to increase taxes to fix our welfare problem. And we cannot spend money we do not have. So-called stimulus dollars from the federal government, or what I consider federal welfare, are gone. Matching funds are being cut. Maine stands to lose $40 million in federal funding for Medicaid in the next two years. However, we must find a way to pay our bills. We must protect the most vulnerable. The bottom line is we must be frugal with tax dollars and get the best value from the limited resources. Over the past few weeks, you’ve heard much from the loyal opposition about what they don’t like about my budget proposal, but let me be clear – you haven’t heard any solutions from them. One of the more challenging pieces to balance the budget is the temporary elimination of revenue sharing to communities. Unfortunately, information distributed by the Maine Municipal Association is not accurate and completely self-serving. MMA claims that municipalities will lose 284 million over the next two years. What they don’t tell you is in previous years revenue sharing has never been fully funded dating back to my predecessor. While I would like to share more money with towns and cities, we simply do not have it. In an effort to provide Mainers with an accurate picture of the impact to community budgets we’ve done an analysis. For example, the City of Portland’s budget last year was $291 million. Reducing all of its revenue sharing funding based on past practices amounts to 6 million dollars. This equals 2 percent of the overall city budget. Last year, Bangor’s budget was about $144 million. The State provided three and a half million – or 3 percent of its budget. Waterville’s share of State revenue is about 4 percent of its total budget of nearly $41 million. As Mayor of Waterville for 8 years, I was able to balance budgets, while reducing property taxes. Working together with a Democratic City Council, I was able to reduce spending and lower taxes. A temporary loss in revenue sharing does not mean that property taxes will automatically go up. That is a local choice. It is not impossible for local government to save money, consolidate services and identify priorities. If revenue sharing makes up as little as 2 to 4 percent of community budgets, it is reasonable to request local officials to find alternatives. These are difficult times, we must work together to move Maine forward. There are many towns and cities across our State that can consolidate services and save money. For instance, Fairfield, Oakland, Waterville and Winslow all are within a 5 mile radius. Each has their own fire and police, schools, public works personnel along with many other duplicative services. Combined these communities are approximately the size of Lewiston. There are ways for communities to work together. However, home rule or choosing to go at it alone is an expensive choice. Unfortunately, I do not have many popular options when it comes to balancing a budget. The recent downgrade from Fitch was based primarily on Maine’s growing welfare costs and not paying its bills. The federal government compounds our financial challenges with little flexibility and less funding every year. Whether it’s the state or federal budget, it’s obvious – times are tough and hard choices need to be made. Until the Legislature makes long-term fixes to welfare in our State our financial problems will continue. My proposal isn’t perfect, but I am confident it will get us through this crisis. As people living in Rural Maine, we have a shared understanding of our place in the politics of this state. We know that the way of life we enjoy is second to none, but that somehow we are considered to be less important, or perhaps less impactful than the urban centers in Maine. We know that the idea of “Two Maines” is very much prevalent in the minds of most Mainers, but we differ in that we prefer the rural way of life. Therefore it is a hard pill to swallow when our elected officials choose to pass legislation that makes it increasingly difficult to live in rural areas of Maine that are already economically depressed. In the past, this attitude has manifested itself in the form of legislators from urban centers ignoring or failing to support legislation that benefits rural Maine, or passing legislation that negatively impacts rural Maine, simply because the disproportionate amount of representation in urban centers allow them to do so (Portland is 22 square miles and has 8 representatives, Aroostook is 7,000 square miles and has 9 representatives). This is no longer the case. We now find ourselves facing legislation that makes it nearly impossible to live in rural Maine that is supported by our own representatives. It is now the people we elected to represent us who are furthering the lobbyist driven urban agenda to our detriment and seeing to it that it is nearly impossible to maintain the way of life we enjoy. The examples of this occurring during this administration are myriad (pro-foreign logging legislation, roll-backs of child labor laws and the elimination of revenue sharing with rural Maine in the budget to name a few), but no one instance has been so unabashedly anti-rural Maine as the discussion (or lack thereof) and passage of LD1333, the now infamous “Health Insurance” bill. The bill allows insurers to charge 3 times as much for people over the age of 48. People in “hazardous” positions can now be charged 5 times as much for their insurance. Farm work, mill work, logging and many of the other jobs that factor heavily into the economy of rural Maine will be subject to this. The bill allows the insurance industry to decide what positions fall under these provisions with no oversight. Worst of all people living in rural Maine can be charged unlimited increases based solely on the fact that they live in rural Maine. In addition to this insurers can require their policy holders to travel any distance they see fit for care. Under the new law insurers can require a patient in Fort Kent to travel to Portland to see a doctor, and refuse to pay if that patient chooses a provider closer to home. This bill eliminates many consumer protections Mainers currently have. Once the bill is implemented, insurers can drop you if you get sick, can deny you coverage based on pre-existing conditions and can decide if they want to cover an illness or injury based solely on whether they want to pay the bill. These are all things that they can’t do under current Maine law. LD1333 also eliminates the power of the Superintendant of Insurance to block rate increases. Since March of 2009 Anthem alone has asked for increases totaling more than 50%, in the same period that they enjoyed some of the largest profits they have ever had. Maine’s Insurance Superintendant, Mila Kofman, denied them this increase. Since the passage of 1333, she has resigned. Under the new law their rate increases cannot be denied. This law creates 24 million in new taxes on all Mainers who currently have coverage (with the exception of legislators. They exempted themselves from the new tax), this from an administration and representatives who pledged not to create new taxes. The Maine Center for Economic Policy estimates that rates for individual policy holders in Aroostook County will increase by 19%, and group policies by 17% (source: MECEP “Health Plan Winners and Losers”). Many people who are currently covered by their employers will be dropped because businesses will no longer be able to afford to cover them. In fact nearly every segment of Maine’s population will see increases. The only reductions will occur in and around Portland. Who are the legislators who are marginalizing rural Maine? Every single Republican legislator from Aroostook County voted for this bill that increases our premiums by one fifth and results in loss of coverage for thousands, as did every Republican legislator, rural and urban alike, throughout the state. They spent only nine days debating this bill. In fact, Pat Flood (R-Winthrop) resigned his appropriations chairmanship over the unethical way in which this bill was rammed through. Contrasted with the fact that they spent 52 days debating and passing a bill to make whoopee pies “Maine’s Official Confection”, you can see that they failed us in their approach of such a substantial bill. The basis for supporting this bill has come largely from the fact that Idaho has instituted a similar system. Publicly Republicans have stated time and again that our system should look like the one Idaho recently introduced. What they have failed to mention is that Idaho’s system has collapsed as a result of the changes. Costs have significantly increased and thousands of Idaho citizens have lost their insurance. This bill is not good for anyone. It’s not good for patients or providers. It’s not good for hospitals or administrators, for large businesses or small. It benefits no one except insurance companies. Starting in 2014, Federal law will prohibit insurance companies from arbitrarily increasing rates. All this bill accomplishes is allowing those companies to significantly elevate their rates ahead of this deadline to insure maximized profits at the expense of Maine citizens. With this so obviously being the case, why did we end up with such a bad bill being passed? Perhaps it’s because no other bill in this session has been so intensely lobbied. Insurance companies spent tens of thousands of dollars lobbying this bill, and in the end their return will be significant. In places like Aroostook County, we need legislators with strong voices who will protect and further our way of life. We certainly can’t survive our own elected officials passing legislation designed to increase insurance industry profits at the expense of the elderly, the hard working, and rural Mainers. For more than two years—since Paul LePage began laying out his policies as Governor, Democrats have consistently said the same thing: Governor LePage’s policies pick winners and losers. And when they lose, they lose big. Good Morning. This is Assistant Senate Majority Leader Troy Jackson of Allagash. Late last week, the Governor unveiled his proposed budget. A budget rife with an extreme political agenda and one that illustrates his priorities and choices. The Governor has dumped more than $420 million dollars worth of problems on to our local towns and cities. He’s laid out a plan that will choke Maine’s financially strapped towns by shifting the financial burden on to them by withholding nearly $300 million in “revenue sharing” dollars from Maine’s towns. He is forcing local selectboards and city councils across our state to do things like cut essential town services—police, fire, and rescue. Or, force them to raise property taxes—in some cases as much as 30 percent. Or, maybe, towns will have to do both. In fact, the City Administrator for Lewiston, said that in his town, property taxes could go up as much as $300 a year for an owner of a $150,000 house as a result of the governor’s choice to eliminate revenue sharing. And at a time when Maine’s economy is still sluggish, a time when more than 50,000 Mainers are still out of work, we have to question whether the Governor’s choices will only further spiral our local economy? One thing is for sure, it does not seem like good common-sense to take away property tax relief programs like the Homestead exemption and circuit breaker program. These programs have provided tax relief to more than 200,000 Maine households. Everyone has to live somewhere. And when the Governor suggests that Mainers should take on an additional property tax burden and also take away responsible programs that help them—he must not get it. He must not understand the tremendous stress and pressure most people face when trying to pay their bills and stay in their homes. Governor LePage wants to talk about responsible and efficient government. But by shifting the costs to our towns, he’s merely passing the buck. This is not responsible— nor is it efficient. There will always be many different opinions about the best way to balance a budget, but nearly all of us can agree that a massive tax shift on to our middle class, small businesses, communities, elderly and the poor is a poor choice. It’s not responsible. It’s not fair. And some may even say that the budget looks like he’s helping his friends and punishing his enemies. Maine needs a budget that strengthens our towns and will get our economy moving. Democrats believe we need a balanced and responsible budget that won’t undercut our state’s economy or harm our effort to grow the middle class. This budget has a long way to go. I don’t envy the task of my colleagues on the Appropriations committee. But I encourage all of you out there to pay attention. The next few weeks and months are critical. There will be opportunities for you to weigh in and tell lawmakers in Augusta about your priorities. Do you agree with the Governor’s decision to gut the Drugs for the Elderly program and the Medicare Savings Plan? Together these programs help nearly 35,000 seniors pay for their life saving medications and afford the copays to their doctor. Thank you for listening. This is Assistant Majority Leader Troy Jackson of Allagash. Have a good weekend— and please take a moment to reflect on the good work of Dr. Martin Luther King. 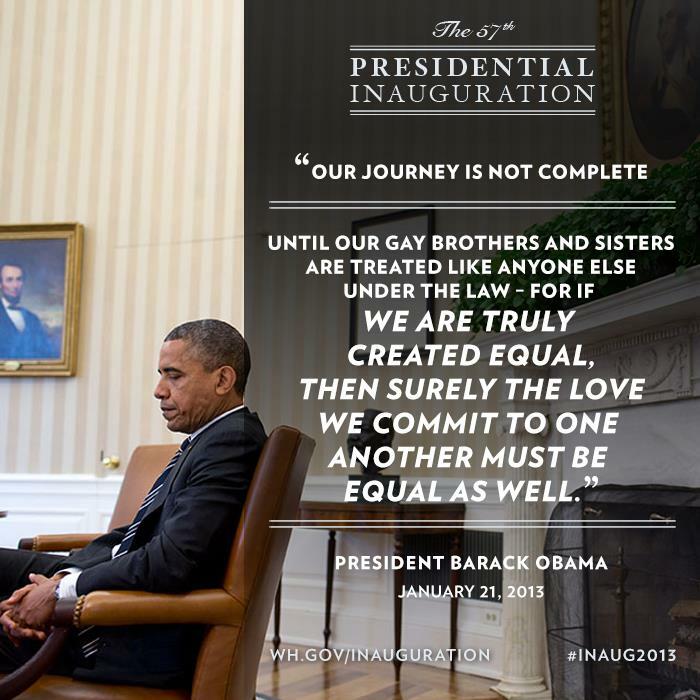 His dedication to the civil rights movement has made our country a better place— and us better people. Good morning, I am Rep. Mark Eves form North Berwick — the Speaker of the Maine House. Thank you for tuning in. 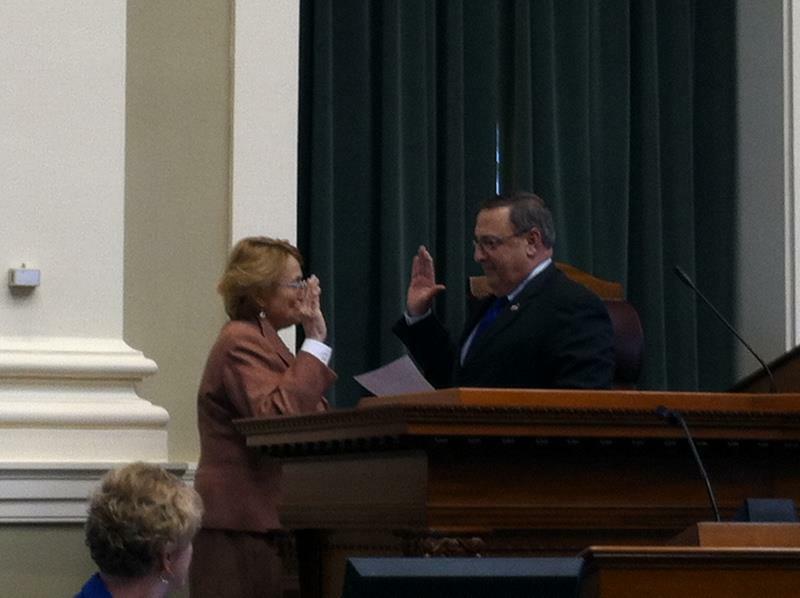 It is truly an honor to serve the people of Maine. This week the newly elected legislature officially began its work. The challenges before us are great. We face a sluggish Maine economy with 50,000 Maine people still out of work. While many states in the country are recovering from the recession, Maine’s economy has slipped backwards. Maine was the only state in New England where the economy shrank last year and we were one of three states in the nation to have revenues fall below projections. While we face this significant economic challenge, we must also address our ongoing budget challenges. Governor LePage released his budget proposal yesterday and we are deeply concerned that it will further damage Maine’s economy and our efforts to strengthen and grow the middle class. We need solutions that truly reform government and make it work better for the people. We need a budget that invests in education, job creation, healthy families, and lowering our energy costs. This is what will get our economy back on track. This is real fiscal responsibility, and it’s just common sense. We must work to put more money in the pockets of Maine families and small businesses – so they can spend it locally and help create jobs on our Main Streets. We have a lot of work to do. There is no doubt. But we knew that when we signed up for the job. And it is what the people of Maine need us to do. To get things done, we must work together. The challenges we face are too big for one party to solve alone. We need to come together in order to solve our problems. We must do better, and if everyone pitches in, we can make Maine a better state. We want to work with our Republicans colleague in the legislature and the Governor to move Maine forward. While we might not always agree, we will always seek common ground to strengthen the economy and grow the middle class. Thank you for listening; I’m Speaker Mark Eves from North Berwick. These are challenging and difficult times. Our State is facing a fiscal crisis and we need to examine our spending practices, evaluate the delivery of services and gain control of our welfare system. Maine’s economic security and future is at stake and we must make hard choices so we do not leave our children with unmanageable debt. My challenge as Governor – and our challenge as a State – is to find ways to help Maine families prosper, improve the business climate, foster better educational opportunities while still protecting the most vulnerable. Maine, like many States, is facing additional hardship because of the sluggish national economy and the burden felt from deep cuts from the federal government. Maine already has one of the highest tax burdens, so it is imperative, as we go through the budget process, that we resist the option of raising taxes on hardworking Mainers. The federal government established many of the welfare programs that Maine people are enrolled in. States were enticed to participate by high federal match rates that subsidize the cost. But now with the feds debt load, above $16 trillion, matching funds for programs like Medicaid are being reduced, placing an added weight on the backs of Maine taxpayers. For all the talk of stimulus from the federal government, the fact is that they are putting Maine in deeper debt. Maine must find its own path through this crisis. We must bring our spending in line with our revenues. My budget proposal before lawmakers includes necessary reforms and achieves a budget that meets the needs of people while protecting our financial and economic security. This budget minimizes impact to education. It is an opportunity to redesign programs and right-size government. It also allows us to gain control of how we spend money and make necessary systemic changes. This problem did not develop overnight and cannot be fixed overnight. The process to overhaul and review our welfare programs to something we can afford is an enormous and unpleasant task. However, getting our fiscal house in order is a necessary step in creating a better business climate with good paying jobs with higher wages. Because we are faced with a severe budget situation and rising welfare costs, we need to work together to do what is in the best interest of the Maine people. Nearly eighty-percent of taxpayer money is allocated to two departments: health and human services and education and skyrocketing costs in these two areas affect other agencies and valuable programs. For example, in the past decade, the state share of welfare spending has grown from nearly $500 million in 2002 to $1 billion in 2012. That is unsustainable. Two years ago, this administration made it a priority to invest an additional $63 million into education. This year – though general purpose aid to schools is still higher than when I took office, we have had to make cuts. While the federal government has not had a real budget in years, as Governor I am responsible for ensuring Maine has a balanced budget. This has meant State government has had to tighten its belt significantly. Local municipalities must do the same. Towns and cities will feel the effects of this budget through a temporary loss of revenue sharing. I commit to you here that we will restore revenue share as soon as this economy improves. The State has made considerable efforts over the past two years to help municipalities stay afloat during the most challenging fiscal time since the Great Depression. However, the loss in revenue sharing in this proposed budget is a reflection of growth in welfare in Maine. We made difficult choices to balance this budget. Some worthwhile programs are not funded – some have seen major reductions – and we’ve prioritized your tax dollars on maintaining a safety net for the most vulnerable. In our continued effort to right-size state government, this proposal eliminates about two-hundred state jobs and seeks to achieve an additional $30 million in savings by eliminating the lowest-value programs. We’ve modified tax exemption programs like Circuit Breaker and the Homestead tax exemption to focus on the elderly and on veterans who serve our country. There is no doubt about it – while there are a few bright spots in this budget, these were not easy decisions to make. But in the long-run, these choices are necessary to protect the future of our children and grandchildren, and create a plan for spending your tax dollars that is fiscally responsible and will set us on the path to recovery. Gov. 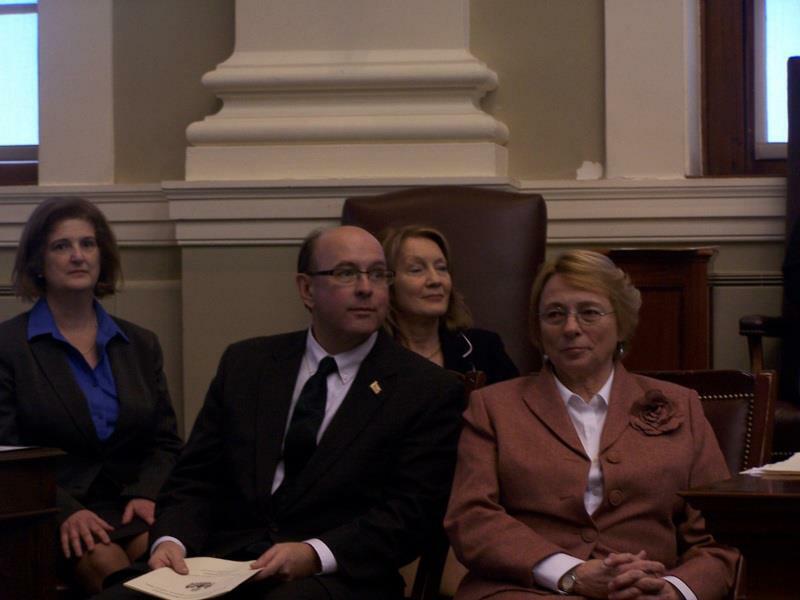 LePage, Chief Justice Saufley, President Alfond, Speaker Eves, legislators, distinguished guests, it is a honor to stand before you today and to once again take the oath of office to serve as Maine’s Attorney General. I want to acknowledge my husband, Stan, and three of my stepdaughters, Lisl, Coleen and Tammy and three wonderful grandsons who are here today. I am grateful and humbled by the faith that you have shown in me. Today, I’m living proof that Maine genuinely believes in recycling. If in 2009 I was the first Attorney General from Franklin County, am I now the second? If, four years ago, I was the first woman to serve as Attorney General, am I now the second as well? I was Attorney General number 55. Now I’m number 57. That’s it. I am very grateful. And I’m ready to get to work. Nearly a hundred years ago a man named William Robinson Pattangall took the oath to become the 34th Attorney General. A native of Pembroke and former mayor of Waterville, Pattangall had also served before. He was also number 32. It was his second time around after an unplanned vacation. Like me, life had given him another chance. And he was successful in many ways. Like Pattangall, I too have found that absence made the job grow fonder. We’ll have to call this the “Pattangall Pattern,” a tradition of sorts. Every hundred years or so the Attorney General will take a break, come back and serve again, with renewed vigor and commitment. Returning students often get higher grades. Second marriages may last longer than the first. Lawmakers who come back here look at things differently. They know that the wheel does not always have to be reinvented. And that friction keeps the wheel turning, but that too much friction can bring it to a sudden stop. Those who remember 1991 and 1992 remember what sparks flew and how putting the brakes on state government did little to move our state forward. My time off has been interesting, my sabbatical fulfilling. For two years, as in years before, I’ve represented clients from all walks of life. I’ve litigated everything from property taxation and criminal matters to human rights cases and multi million dollar commercial disputes. Yet I have hungered to return to a position which everyone from Frank Bellotti to Steve Rowe to Bill Clinton, from Jim Tierney to Justice David Souter have often called the “best job they ever had” – Attorney General of their state. And I hope my return brings more wisdom than cynicism. More insight than mere boldness or bravado. During my time away, I have also traveled the length and breadth of Maine and talked with thousands of people in their homes and businesses, at their local diners, at Saturday night suppers and hunters’ breakfasts. I’ve heard their dreams, listened to their fears, and felt their hunger for opportunity. As we all know, opportunity and achievement are not straight lines. Some of us are blessed with second chances. 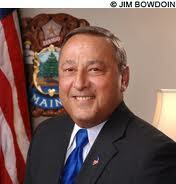 No one knows this better than our Governor, Paul LePage. No one knows better that opportunity comes and goes – for us, and for the hardworking people of this state. And no one is more deserving of opportunity than the citizens of Maine. And as I take this office for the second time, it’s important to remember just what role the Attorney General plays in ensuring opportunity for Maine people. The Attorney General gives guidance and advice to the executive and legislative branches and defends the state against lawsuits. The office protects small businesses from great monopolies and fights against illegal business practices. It protects consumers against fraud, families against domestic violence, it stands up for children and against poverty. It helps protect the elderly from abuse. It prosecutes homicides and protects medical privacy. It helps preserve the legacy of Gov. Percival Baxter and the 209,000 acres of wilderness that are one of Maine’s finest natural treasures. Most importantly, the Attorney General represents the people, not just the machinery of the state bureaucracy. That independence gives the AG the authority – indeed the responsibility – to ensure opportunity and second chances for the people of our state. The freedom to earn a living, to compete and survive in business and to support a family in the toughest of times. Clean air to breathe, water to drink, lands to till. Safe food to eat. The right to grow old with proper care and financial security. The right to vote without intimidation. Freedom from discrimination and disease, addiction or unconscionable debt. Free and public learning at a public school as provided in our Constitution. And a government, up and down the line, that treasures integrity, compassion and true transparency. In short, the Office of the Attorney General is the guarantor of personal liberties for many, the protector of public safety for all, the face of the state, an advocate for its values, and the voice of the people before the highest courts in the land. This means representing all the people, not one party or the other, not carrying the banner for one administration or another. And I take that responsibility seriously. As we begin our work, I know that we will not always agree on the course our state should take. Achieving true opportunity means disagreeing about the means. It means creating friction, sometimes. It means that the wheels of democracy turn at different speeds on different tracks. But it means debating, talking and listening to each other. We will debate solutions, programs, strategies, rules, budgets and bills. And at times those discussions will be heated. But, we know we can succeed. We love and live in the same state. We find comfort and sport in the same woods and streams. We enjoy the noisy gaiety and busy-ness of the same cities. We watch the same big rivers muscling their way throug fertile fields under big moons and marshmallow skies. We love the same majestic ridges of the rough and revered Katahdin, the long serene Bigelows, the friendly slopes of Sugarloaf and Saddleback. We work and play in the same ocean, busting up against the same independent craggy shores. We are citizens of the same society. We have to get along. We are the caretakers of this precious state. We have to care for it and for each other. We live by the same light, breathe the same air, suffer under the same times of darkness. So much brings us together, so much more than that which divides us. Let us make the second time around the best time around. Let us make our home a state of safety and a place for second chances… not just for present company, but for every beloved citizen of the great State of Maine.